Christian band Chosen coming to Rosary High School on Friday, April 5. 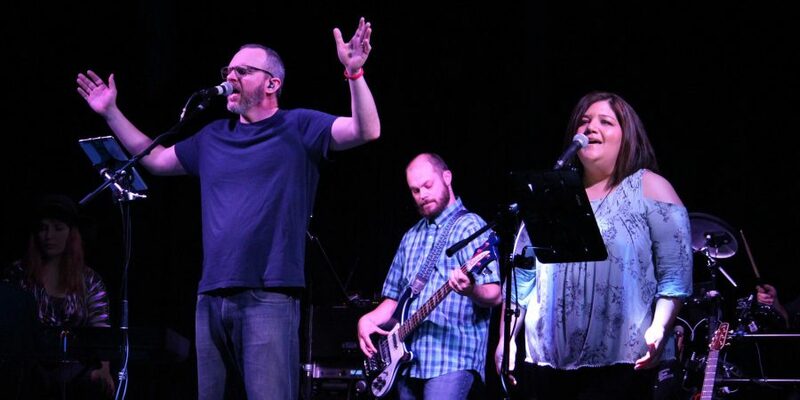 AURORA, Ill. – Chosen, a high-energy band playing today’s popular Christian music, will perform an evening of Contemporary Praise and Worship Music on Friday, April 5, at 7 pm, at Rosary High School, 901 N. Edgelawn Drive, in Aurora. The band is made up of Andy Divin (guitar/vocals), Larry Jennings (guitar), Melissa Silvia (vocals), Kristin Fitzgerald (vocals), Todd Whittmer (guitar), Michael Barbel (bass), Dennis Owen(guitar/vocals), and Rosary’s own Scott Wade (drums). The concert will be held in the school’s McEnroe Auditorium. Admission is free and all are welcome. Doors open at 6 pm. For more information, see www.rosaryhs.com/chosen. Rosary High School is a Catholic, college-preparatory high school for young women located at 901 N. Edgelawn Drive in Aurora, and sponsored by the Dominican Sisters of Springfield, Illinois. At Rosary, we empower young women to achieve their greatest potential. For more information about Rosary High School, please visit www.rosaryhs.com.